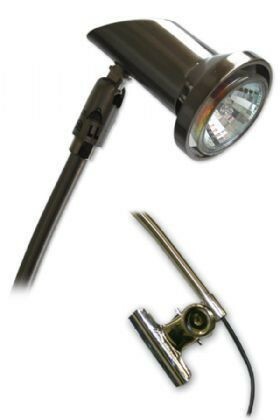 Highlight your banner stands with a plug in halogen spotlight. Easy to clip on to any banner stand with a back pole. Features a pivoting head to angle the light anywhere. Very sleek silver design creates a great addition to your displays. Just plug in and have great professional lighting to your display!